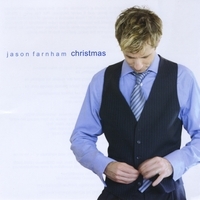 - Carol Swanson - "ChristmasReviews.com"
"Contemporary pianist Jason Farnham's Christmas is an exciting, well-executed instrumental album that features Farnham's piano, but includes other instrumentation and a synth/programming element reminiscent of Mannheim Steamroller. There are quite a few piano offerings for the holidays; this one is more intensely modern than most. Farnham's arrangements are special. Old friends like Angels We Have Heard on High sparkle with new life. For me, the album's final third absolutely wails! Farnham produces some inspired cross-genre hybrids, beginning with Calyps-O Christmas Tree, a syncopated crowd-pleaser that melds jazz, classical, and calypso into a deliciously spicy stew. His creativity similarly explodes on the outstanding We Wish You a Merry Christmas Charlie Brown Style, which boasts a hot bass line and great improvisational piano chops. We Three Kings Tango will have you dancing all over the room, and I Got the Jingle Bells Blues is guaranteed to put a grin on your face. I also particularly enjoyed the deep-throated bass on God Rest Ye Merry Gentlemen; Farnham's piano/keyboard gently floats over the top when it picks up the melody line. Farnham adds a few originals to the mix. Of the three, my favorite is Christmas in L.A., which pushes a cool urban percussion foundation, topped with a high-flying, sweetly joyous piano/keyboard. His closing "bonus track" (Love Around the World) is an interesting multi-cultural, multi-lingual melange with vocals that urge the universal message of global peace. Fans of Mannheim Steamroller and rich piano instrumentals with an electronic kick will find much to love here. Jason Farnham is a first-class entertainer, and his Christmas is a spirited gift for the holiday season. Enjoy!"